When the final three volumes of Clive Barker's Books of Blood were published in the United States, they were each retitled for a (seemingly random) story in the collection, and so Vol. IV became The Inhuman Condition. I assume it was because a different publisher, Poseidon Press, had the rights to those books and wanted to put them out in fancy little hardcover editions; no more of those déclassé paperbacks that cluttered up spinning metal racks at the local drugstore (although I'm sure that's still exactly where the above 1987 Pocket Books - art by Jim Warren - edition ended up). No, it was high time for Barker to step up to the bestseller world of Stephen King, Anne Rice, and Peter Straub, get him into the all-important literary and fantasy book clubs of the day. This was how he became not just another acclaimed paperback horror writer with a King-size blurb, but a brand-name author with huge publisher promotions behind him and TV and radio appearances - which Barker, not unaware of the origin of his name, took to like a natural. I well recall the excitement I felt when I saw Barker's latest was in hardcover; the intent to build prestige for him worked on me and I started to really see him as a serious writer - or more importantly, that other people saw him as a serious writer. And the stories themselves are a solid, inventive, original bunch that more than justified the hardcover and the wider-spread readership that would bring. Right after this would come his major bestselling novels The Damnation Game (1986) and Weaveworld (1987). With hints of Hellraiser, Weaveworld and The Great and Secret Show (1990), the title story is an enigma ultimately about, of all things, evolution. A puzzling cord of knots stolen from a vagrant mesmerizes a young criminal; their unloosening begets raw-fleshed monsters. Classic Barkerian moment: when the first of the monsters hides in shadowed trees, the criminal says to it, "Show yourself... I'm not afraid. I want to know what you are." The playful and absurd "The Body Politic" is referenced on the dust-jacket for both editions of Condition: human hands take up arms against their oppressors and cleave themselves to freedom, scuttling in the darkness like errant crabs, eager to be away with their leader. Neat imagery - the fires escape [was] solid with hands, like aphids clustered on the stalk of a flower - and a cool twist ending; a good example of the author's more lighthearted weirdness. Barker's own painting is featured on the paperback from his UK publisher Sphere; this happy fellow is obviously from "The Age of Desire," in which an experimental aphrodisiac maddens and arouses at once; no nook or cranny or cop is safe from this man's advances. This was one of Barker's tales that I read with glee in high school, passing it along to a couple other friends who bothered to read at all. Barker's repertoire has always included an unflinching and perverse sexuality but his approach is more Georges Bataille than the juvenile or mainstream t-n'-a that one usually finds in horror fiction. It was a new kind of life he was living, and the thought, though frightening, exulted him. Not once did it occur to his spinning, eroticized brain that this new kind of life would, in time, demand a new kind of death. Rather an odd one in the entire Books of Blood, "Down, Satan!" is a story only a few pages long, no dialogue, no characterization really. This one is more like a fable, a fable of Gregorius, a sickeningly wealthy man who has lost his faith and is determined to meet the Dark Prince face-to-face, and has built a suitable palace of horrors for just such a happening. Surely the Devil could not resist such a roost to call his own, hopes Gregorius. For God was rotting in Paradise, and Satan in the Abyss, and who was to stop him? Barker's writing here shows much growth from earlier volumes of Blood; there is a more assured quality overall, his sentences are elegant, crackling with dry humor, and his tone is ironic, poetic, knowing. Characters witness strange and beautiful horrors that no metaphor can contain, or they are horrified to learn that a trite sentiment such as Give me your heart can become literal in a deadly flash. 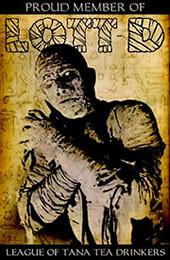 Barker upends horror tropes and brings new ones to the genre and demands readers keep up with his ideas. 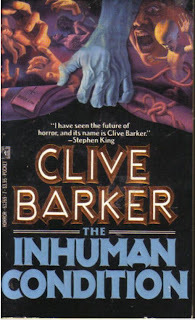 I say happily that The Inhuman Condition is an integral part of what made Clive Barker one of the premier horror writers of the '80s and '90s. You never can tell what Barker's been smoking. Great review. 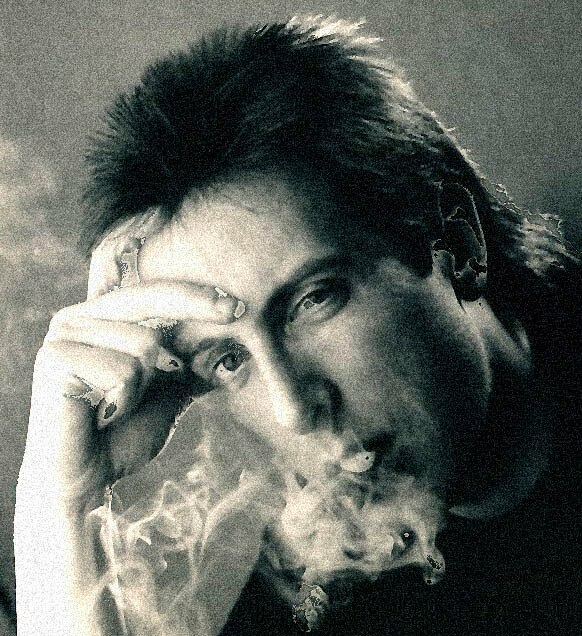 I have been re-reading a lot of Clive Barker these last few months, my mind seemingly picking stories at random from all the volumes that I have collected, and enjoying them again. He is such a wonderful writer, one that is able to connect words in a way that is hard to describe -- a way that just seems to flow across the page. And his imagination seems to know no bounds. It is simply amazing. I loved Clive Barker's early work. The first three volumes of his BOOKS OF BLOOD ( I STILL regret not picking them up in their original first edition trade PB versions from the UK when I discovered them at a bookstore in Paramas, New Jersey while on a trip back in '86. Those copies are highly sought after collector's editions now. I had to wait for the cheapo paperbacks with the masks to appear on shelves a year or two later in order to get them ) & DAMNATION GAME specifically. Oh & his short novel CABAL as well. I suppose it was his growth as a writer & his inclusion of increasing more fantastical elements in his work that caused my interest to wane. I'm just an odd duck when it comes to anything fantasy, even if it's the darkest of fantasy, I just can't get into it. I have WEAVEWORLD & some of his later stuff on my shelves, but I've never gotten around to reading it. My bad, I'm sure as I've only heard excellent things about it. Best Books of Blood story? It's a tough call, at best (especially since I haven't read most of them in over a decade), but I'd say "Age of Desire" is a definite contender, just the right combination of vicious grue, downbeat realism, and visionary fervor that Barker, at his best, could nail like no-one else. William - Yep, Barker is a joy to read; such a supple and engaging prose style. I love rereading these stories, many of which I haven't read in over 20 years, and finding them still excellent. bluerose - I've heard similar thoughts from other folks. Me, I've devoured everything he's written as it's come, except for stuff in the past few years. His style of "dark fantasy" or the fantastique as he called it was just right for me. That said, I don't really read other dark fantasy. However, WEAVEWORLD might be something you'd like. Anon - Yes, "Age" was always a fave, and now after this reread it remains so. 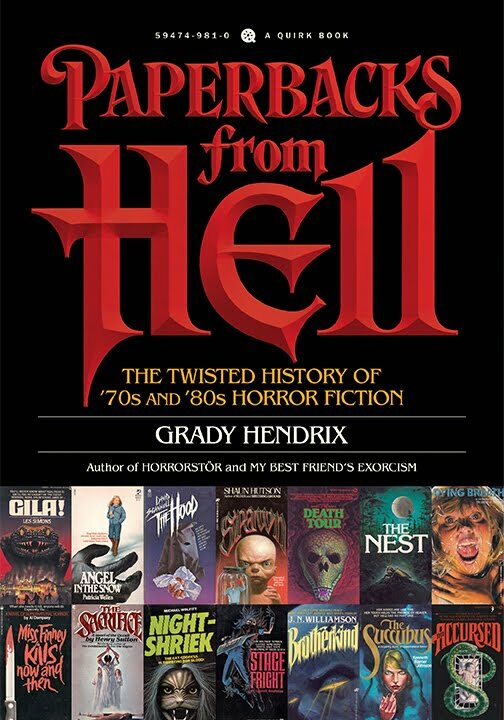 I discovered your blog through The Man Eating Bookworm, and I have to say that I like the "Horror of Yesteryear" motif that you've got going on, because so much of the best horror has been published in the past, although some amazing stuff does come out these days, although less so. 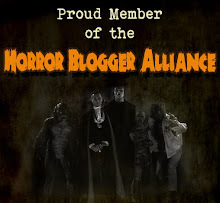 Barker is my absolute favourite horror author, idol, inspiration, and so I had to comment on this post ;-) I think you're absolutely right about the issue with volume four of BoB becoming "The Inhuman Condition" and a so-called "stand-alone." His publisher was absolutely trying to make him a brand name and get him into drugstores. By the way, fascinating origin of Barker's name -- I had no idea! Thanks, Darkeva, for the compliments. 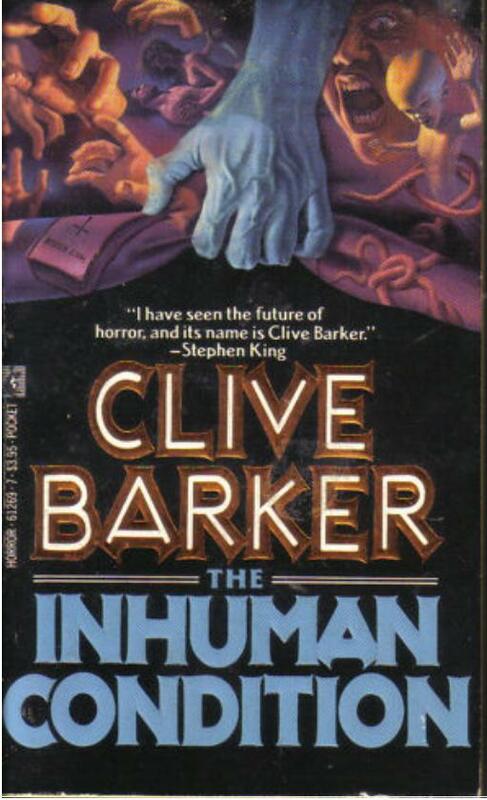 Barker is an inspirational horror figure for me as well. You're gonna love the rest of the Books of Blood! I definitely enjoyed Volume IV! Check out "Quicksilver Highway" for an interesting adaptation of "The Body Politic" on screen. It's certainly not as good, but it's interesting to see his adaptations come to life. This one certainly isn't "bad" either. Wonderful review! It's a comfort to see someone so deserving receive such praise over a long and successful life in art. Clive Barker really is a touching person, he's a definate idol for myself and I'm sure many, many more. "Down, Satan!" sparked my interest the most out of Volume IV. I think it reminded me a lot of Matheson's "Hell House."